By Marion Florence Lansing. Sixteen astonishing tales from European history, each dealing with a great clash between two mighty forces, described by the other either as barbarians or nobles. Originally written for younger readers, this work tells the story of, among others, the Roman advance into Germany under General Drusus, the sack of Rome by the “barbarian” Goths under Alaric, the attack upon Europe by Attila the Hun, the inter-Gothic wars and Theodoric, the emergence of the Franks under Clovis, the wars against the Moors (“Saracens”) under Roderick, the Viking invasions, St. Winfred’s death at the hands of German tribes he was trying to convert to Christianity, and the great Crusade against the Muslim invasion of Palestine, led by England’s Richard I. At the end of the book, the author inserted guide notes for teachers, suggesting themes for educating the young, and further reading suggestions. This work contains all the original text and its accompanying beautiful woodcut illustrations, and has been complete reset and digitally restored to better than original quality. “In this volume are grouped stories of that early period of the Middle Ages when Europe was the meeting place of many races and tribes which were later to make up the nations of the modern world. In its broad lines the historical epic of the wandering of the nations, and of the formation of Christendom out of a chaos of tribes and peoples and tongues, is as stirring as any saga; in its details there are many bits of epic prose, many quaint scenes from the life of the time, and many pictures of well-known heroes. It is, moreover, with all its tragedy of the fall of the Roman Empire, a tale of hope; for there runs through it a single line of progress,—that the barbarian of one age appears as the noble of the next, taking his turn in defending his world against the onrush of new barbarians. 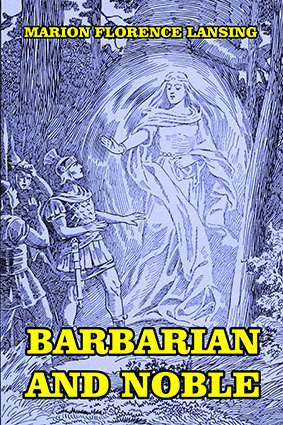 Barbarian becoming noble unconsciously, uncivilized becoming civilized, that is the tale of the early Middle Ages in relation to the world of today; and it is a tale fascinating beyond one’s most hopeful anticipations.”—from the Preface. Contents: Barbarian and Noble; The Story of Drusus; A Roman and a Barbarian; The Coming of the Witch People; Alaric the Goth; Attila the Scourge of God; Theodoric; Goth against Goth; Clovis, King of the Franks; Roderick and the Saracens; Charlemagne; The School of the Palace; Vikings from the North; Alfred and the Danes; Rollo the Viking; Saint Winfred; Richard the Crusader; Notes.